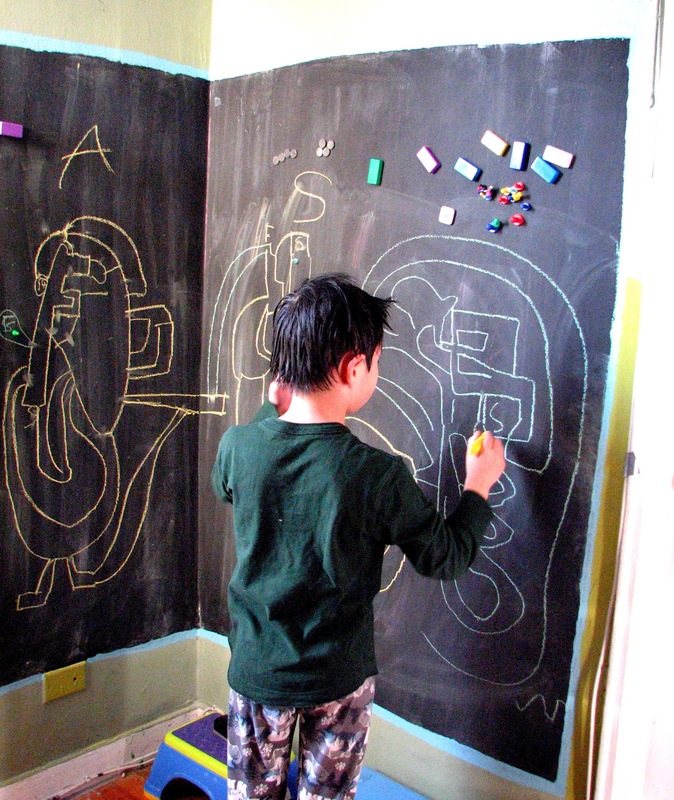 I never imagined we could have something like this in our own home but with chalk, magnets, and a bit of wall space, ANYTHING is possible. One day, I stumbled upon a website that discussed using magnetic wall paint as an aesthetic solution for displaying children's art work at home. Soon, I found myself looking for great paints on the market and my research consistently led me back to Magnamagic. 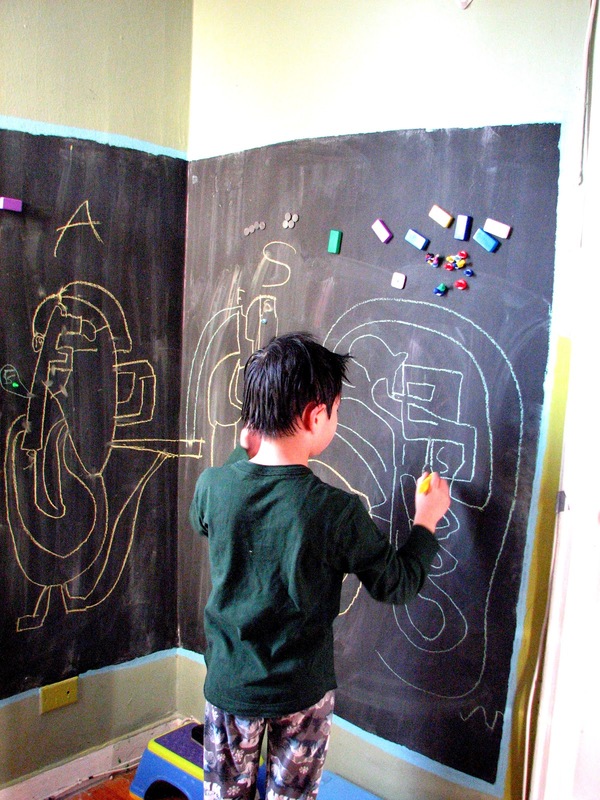 This paint allows you to put up a magnetic wall and a chalkboard wall at the same time. They do sell primers separately if you want a tintable chalkboard wall but if you want the old-fashioned black wall, you can be a one-can painter. I like being a one-can woman myself. The truth is, I have never painted a wall before in my life. Anything even slightly handy-mannish scares me so Magnamagic was a great solution. All my "brilliant" ideas are usually constructed by my husband. But I was determined to do this myself. So did I screw up? Did my magnets stick to the wall or did they fall right off? This is inspired from Number 1 who used the wall one day to tell me a story. Do you see a story here? Our Tegu blocks happen to be excellent tools for storytelling. I had to wait a whole 24 grueling hours but when it was over, I sang out loud even though no one was home! My magnets stuck. The chalk writings looked fantastic. My wall was as smooth as I expected (do not expect chalkboard smoothness like the ones you had at school- this is a wall) Every point on my Magnamagic wall was just as strong as any other random point on the wall. I did a good job. I didn't screw it up! This review is hard to write. 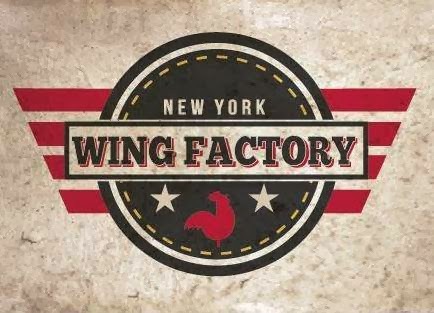 There are just too many good things. 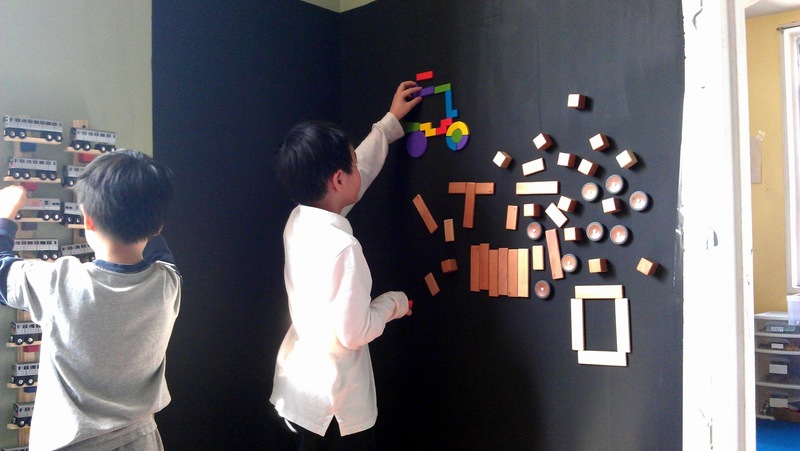 But to start, how about the fact that we can do so much more with our existing magnetic toys? 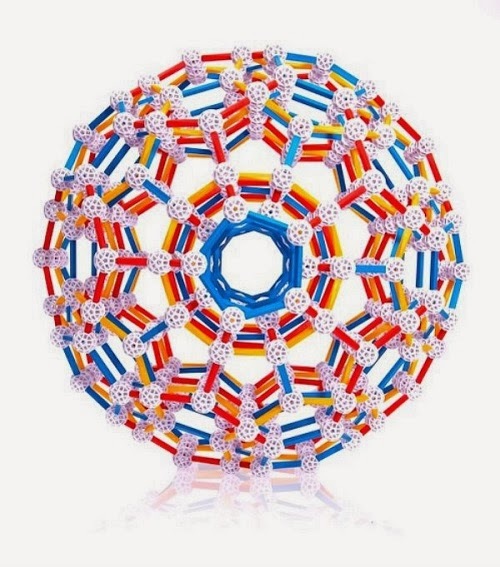 If you have good quality magnetic toys with strong magnets, so much is possible. 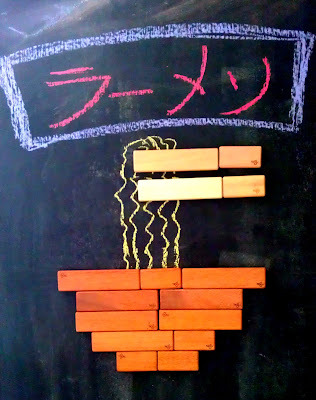 The first thing we did was put up our Tegu blocks on the wall. The wall itself has polarity changes in certain points and so we would sometimes have to turn our blocks around to make a magnetic match. Thus your wall becomes a puzzle too. That's cool! 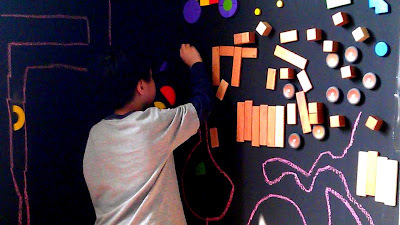 Our Tegu blocks have always been a 3D hit but with a magnetic chalkboard wall, it takes on a very different but still very lively 2D role. 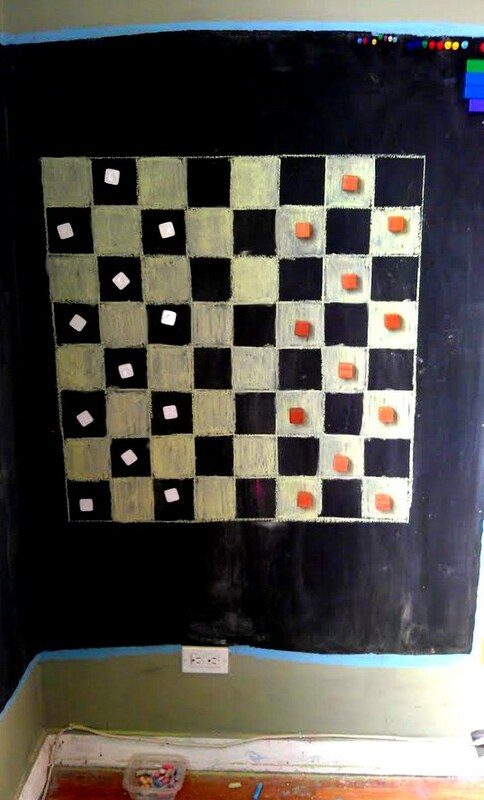 The black backdrop and ability to add in chalk drawings changes everything. Moreover, you can turn what you normally use to as 3D creations such as Tegu blocks and make them 2D creations and usually that will mean your work can become larger and your child is able to make things she has never made before. All of it is just as creative but they can see things from a different point of view. I love when they can see the same things from a different angle, in this case, a different dimension. While I haven't tried them yet. I am excited to try other magnetic building toys because I have a feeling that with my Magnamagic walls being two-sided at a right angle, something amazing can happen here. Once they see it's magnetic, kids know right away what to do. Here is Number 1 making a car from another magnetic block set. That review is coming soon! I love how my boys can create something together in this new medium. Painting a mural comes to mind. 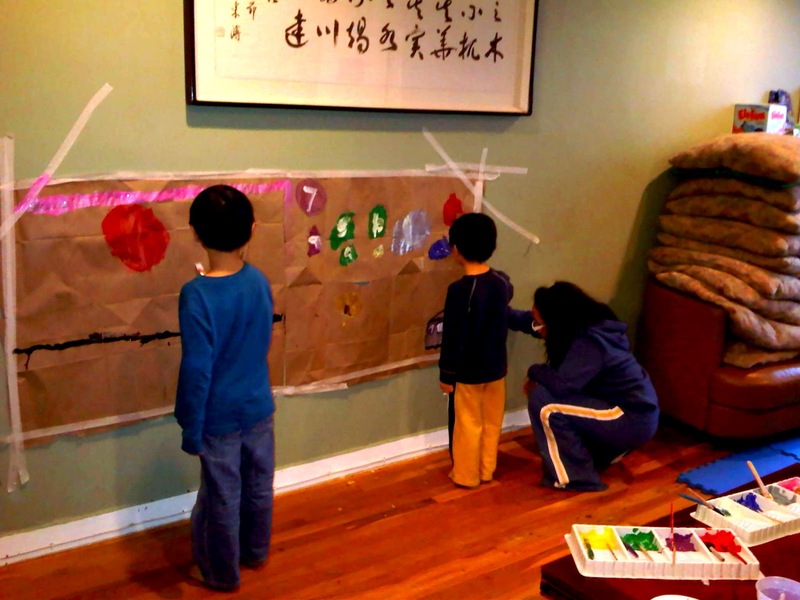 I recall a time when there were a couple of days when we had a huge open space because we were waiting for our new couch to come in and Numbers 1, 2, and 3 and I got together, taped up some brown paper on the wall and started painting. It was extremely gratifying. I remember thinking how happy we would be if I had the space to do that on a more permanent basis. Finally got my wall of magic. No more makeshift murals after the new couch came in. My boys did work next to each other but never stayed still long enough to for me to snap a photo! This magnetic wall is full of energy! We used very inexpensive but very strong magnets to hold up the paper (those are no ordinary pushpins). Review+ Giveaway coming Tuesday. I no longer have to wish! It's finally here with my magical wall, a big piece of paper, and a couple of strong magnets. I bought some dual-surface paper from Staples and some magnets and painting on the wall became so simple, so easy! 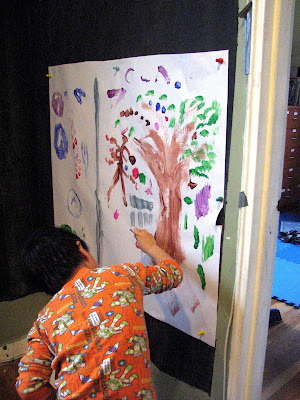 I am also thinking that this is the start of my boys painting and possibly making up stories more collaboratively. No one paints together in this house. It's parallel, never together on one space and I know that is normal but there is no reason to try out something new. Right now, they work side by side but eventually, my belief is that one will start to help the other or draw attention to his own work and then eventually, I think they may start planning together to make something that represents both of their ideas. For now, Number 1 draws a dividing line (this side is mine; that side is yours) however, he painted train symbols which is something that he knows Number 2 likes very much. Even though the creative potential is huge here. I had a feeling that the physical demands required from the child would have an impact as well. I had no idea just how beneficial it really would be until I was given a lesson in the benefits of drawing/writing on the wall by Aimee Prainito, of Prainito Pediatric Therapy in Snellville, Georgia. "I think it's a great activity for kids," Aimee said. After we discussed how I used my wall and sent her photos, she mentioned something that I never thought of: shoulder control. Shoulder control? Is that even a thing? Once at a convenience store in Washington D.C., my friend and I were desperate to buy souvenirs for our kids. That is how I have this snowglobe magnetic picture frame. Number 1 used it in a very cute and funny way. Aimee knows how to see the big picture. "You can't get any good hand control without shoulder control." Aimee say that when the kids have to work "above the horizon," then the kids undoubtedly end up strengthening all those shoulder muscles. 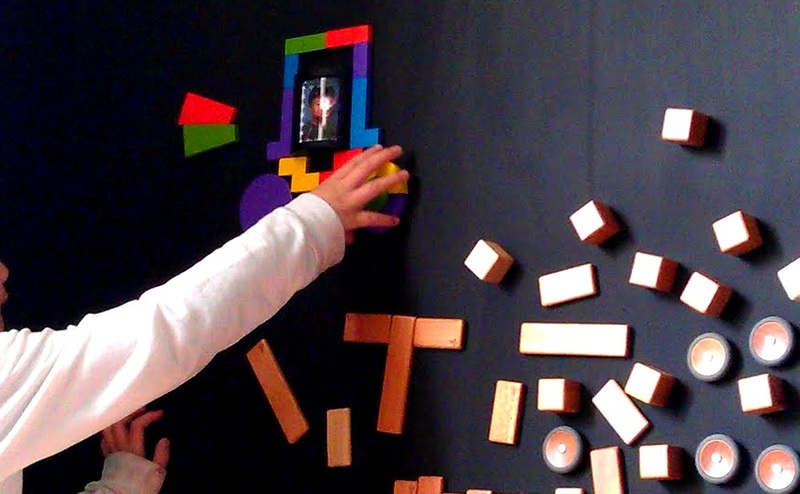 My wall of magnetic magic definitely gave my kids plenty of opportunity to work above their heads. So the big question would then be: Aimee, is there a correlation between handwriting and your shoulder? "Absolutely," Aimee said. As an occupational therapist, Aimee works on these skills often with the kids. "I am always on the floor with the kids," she said. "And we are laying on our stomaches, propped up on our elbows, in like 90 degrees at the shoulder and at the elbow," she described. "That gives them the deep pressure and they have to control their shoulders." She also added, "It also doesn't allow their hands to move as much so that you can get better hand control." I don't quite know what he was doing here. I think he was drawing a maze. Now all I see after what Aimee told me is that he is working on his shoulder stability. It makes me doubly happy to see this picture now. Giant Exercise Machine for Kids? Until I spoke to Aimee, I had primarily been thinking of our new playspace as a new medium to test out their creative play scenarios and make art. Now, I am looking at this wall as a space for that but also, it is now, an exercise machine to me, a giant magnetic exercise machine. Now I want to do everything here. There is so much to do, puzzles, math, writing, creating your own toys, marble runs..... 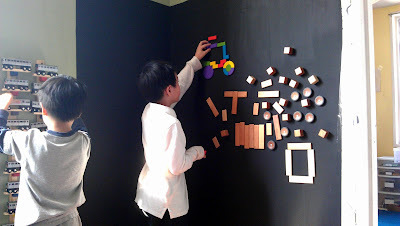 But wait, Aimee enlightened me once again - she told me that you can connect writing on this magic wall to improving a very needed classroom skill. I'll give you a hint- it starts with an "A" and ends in an "N."
Come back tomorrow to learn more about this other big skill, the cool magnets (giving some away!) and other guest stars of our magical magnetic show. PLUS- Aimee will give some awesome suggestions on making the most out of your play. 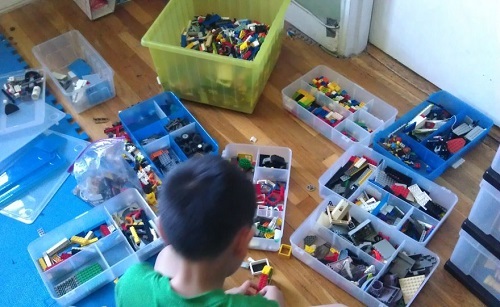 Seriously, this is one of those reviews when I think that toys are just the most amazing tools. The possibilities are endless. For just a quart of paint, I have an entire new playspace that takes up almost no room, gives our existing toys new roles, and can transform a plain wall into a game stage with just one stick of chalk. The only comparable playspace I can think of is a train table or a play kitchen, remember those? Didn't they cost a pretty penny? A quart of paint is $39.99 and can cover 25' x 25' of wall space- more than what is visible below. I bought my chalk for $0.99. There are few greater bargains. How will your wall say, "Hey c'mon, let's play!"? 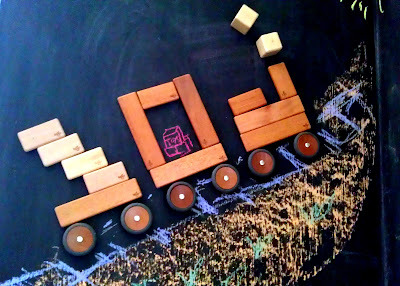 Wooden Magnetic Blocks and Wheels- read about them here, and here. 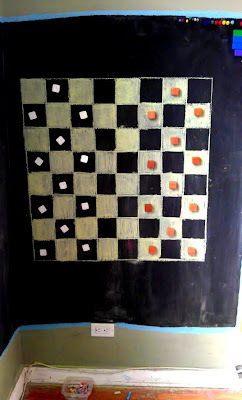 White Square Dry Erase Magnets in Checkers game- review coming soon but here is a hint. Colorful Wooden Magnets - review coming soon- hint: Mindware.com. Can you guess? Disclosure statement: Toys are Tools has not been compensated in any fashion by the manufacturer or retailer of any of the mentioned products for the publication of this post. 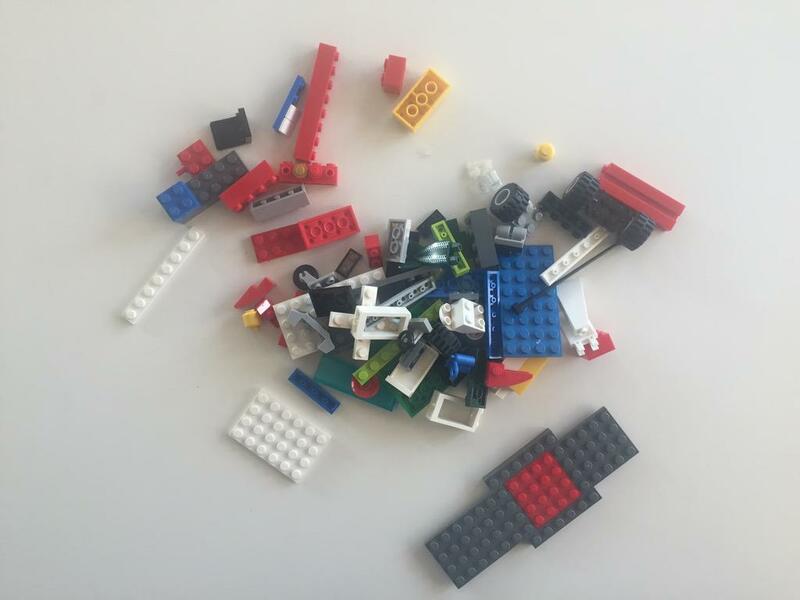 The product was given to Toys are Tools to facilitate a review. Reviews are never promised. LOVE THIS! I have had magnet paint sitting in my basement for far too long, waiting for the right moment to paint a place in our home, which requires me organizing my home. This inspires me further to do it. A firenmd of mine has a space in her kids' play room painted and the girls love to write with chalk on it as well as to use dress up dolls akin to Melissa and Doug's Magnetic ones. My children enjoy playing there. Love that you went into the connection between shoulders and wall-writing. I tell folks I tutor for that all the time. As I look at what you did with your Magnetic Blocks and Wheels, which i don't have, I think about what we could do with our Smartmax. 3-d cretaions off the wall! Cool! This is perfect! I'm getting ready to redo Liam's room as a surprise for his 10th birthday while he is away for a week this summer. I'm doing a Lego themed room, but I think a section of wall like this would be a great addition. 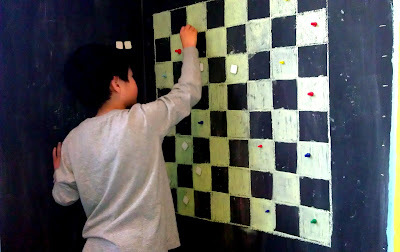 Love the ideas using magnetic paint! Imagination and creativity gone wild! What a great review and I love the OT info too! I love this! I knew about chalkboard paint, but not magnetic chalkboard paint. Hmm...I wonder where I could add some to our apartment. place for this idea at home. I really love to have this.